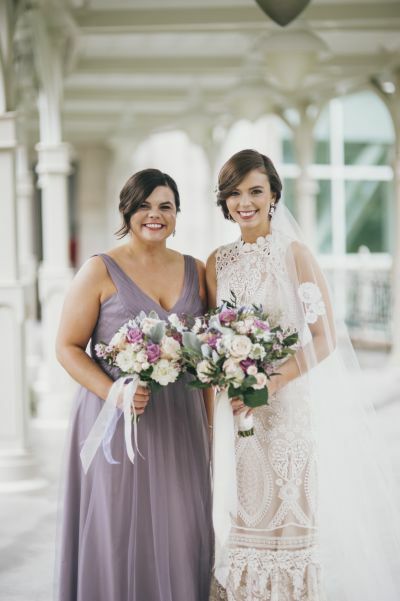 Molly Webster and Jordan Leet attended the same high school, but they didn't become friends until college, when they reunited during a winter break. 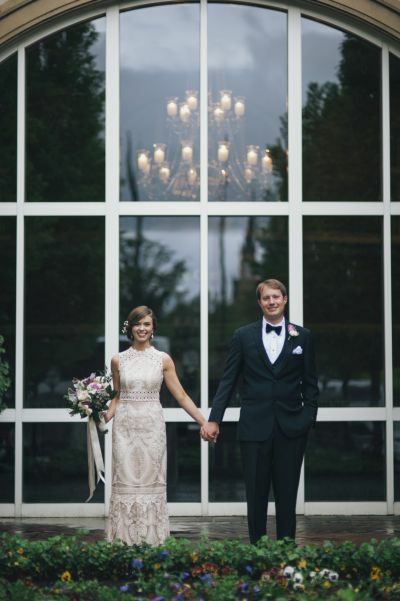 A few years after they started dating, the couple took a trip to Charleston, South Carolina, a place that Molly's family had vacationed and had many special memories. In front of the Pineapple Fountain, Jordan proposed, with Molly's sister and brother-in-law present to capture the moment with photos and a video! 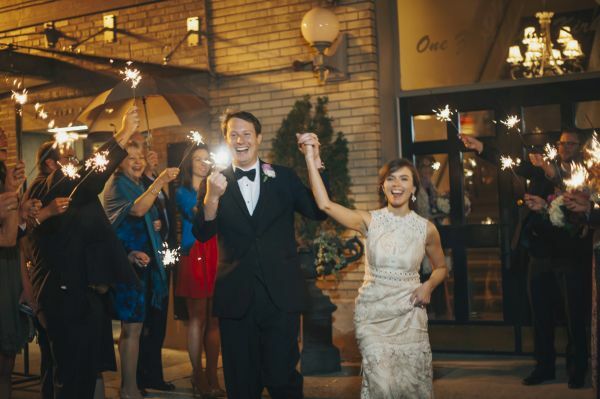 On their rainy wedding day, the couple didn't care that it wasn't 100% according to plan. 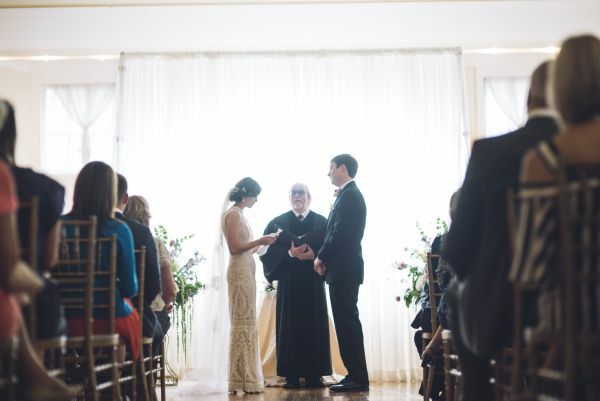 According to Molly, the whole day was "perfect," from the personalized vows to the dancing to the exit. Molly wore her mother's veil, and a table at the reception showed photos of the couple's family members on their wedding days. 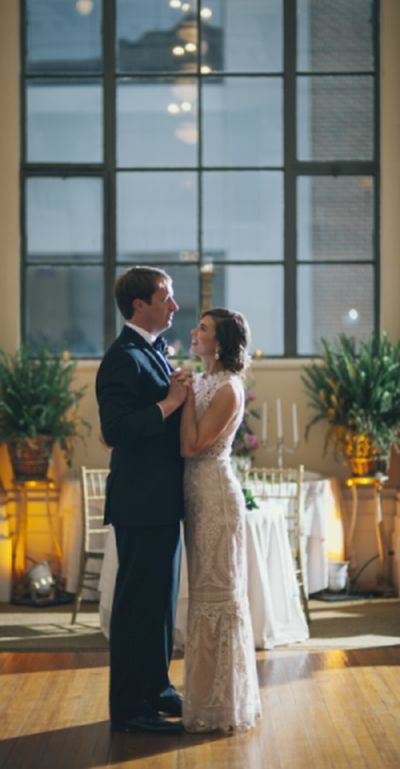 The romantic reception was accented with lavender floral arrangements and wreaths, and when it was time for the newlyweds' first dance, they swayed to Dave Matthews, Molly's favorite band. 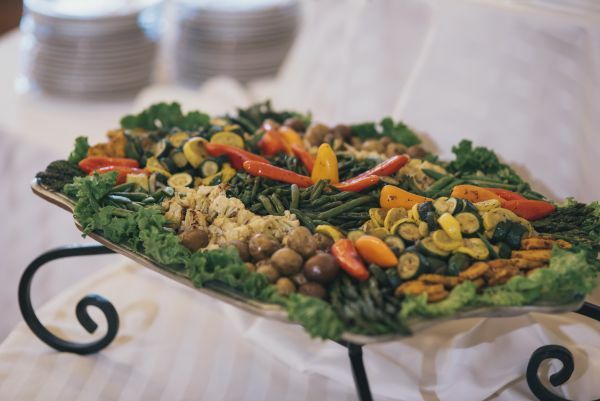 It was very important to the couple for their families to play a large role in their special day, so in an nontraditional move, Jordan had two Best Men and 4 groomsmen, while Molly's sister was her Matron of Honor and her brother the Man of Honor. 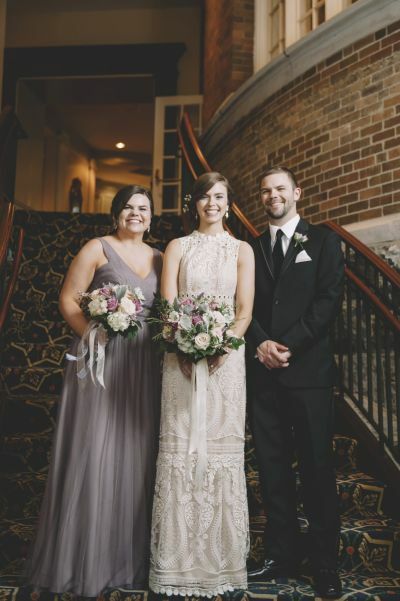 "We wanted the siblings and friends that have supported us most standing beside us," Molly says. 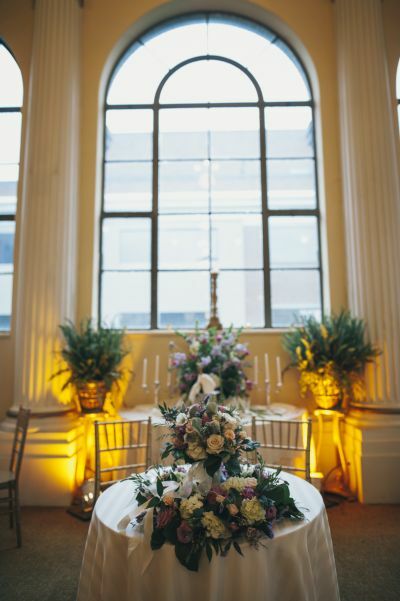 Make sure to see more of the Leet wedding on page 78 of bridebook!